In Washington, D.C., Dulles International and Reagan National airports are celebrating cherry blossom season. 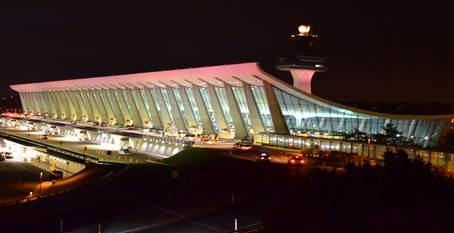 The main terminal at IAD is lit up in pink and, at DCA, the parking bridges – which have glass walls – are lit pink as well. And, at both airports, there are shopping and food promotions and fun activities on deck, including cherry blossom-themed cocktails and cookies, photo booths and stilt-walkers dressed as cherry trees. Over at San Francisco International Airport, there’s a cool new amenity that might come in handy: Airport Butler concierge service. 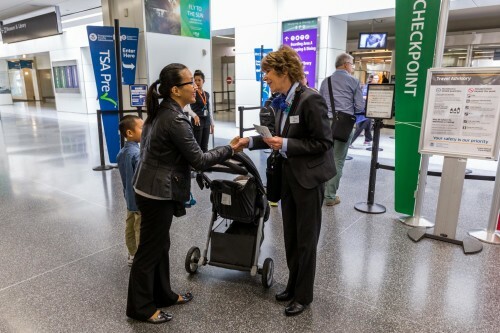 It’s a pay-as-you-go concierge program approved by the airport that provides services that arriving, departing or connecting passengers might need — including making sure an elderly or inexperienced travelers gets to their gate and onto the plane to VIP services such as “discreet entry & exit” from the airport. Fees for basic meet-and-greet services ($250) will show up when a booking is made online, but reservations for other services need to be made on the phone, where they’ll customize the service and quote a price.